dry chemical fire extinguishers extinguish the fir eprimarily by interruption the chemical reaction of the fire. 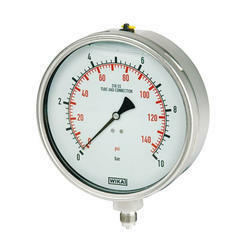 We offer high precision pressure gauges such as general pressure gauge and liquid filled pressure gauges. 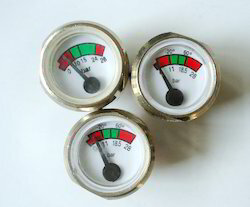 They are used for visual monitoring of air and gas pressure for compressors, vacuum equipment, process lines and fire extinguishers. - For fire sprinkler and deluge system. - Phosphor bronze bourdon tube with brass movements. - Polished stainless steel case and positive seal against weather, moisture and dust. We are one of the emerging suppliers of the market, presenting a huge collection of Fire Extinguisher Pressure Gauge to our precious clients. Besides this, these offered products are checked by our quality analyzes on numerous measures to make sure that they are operationally fluent.